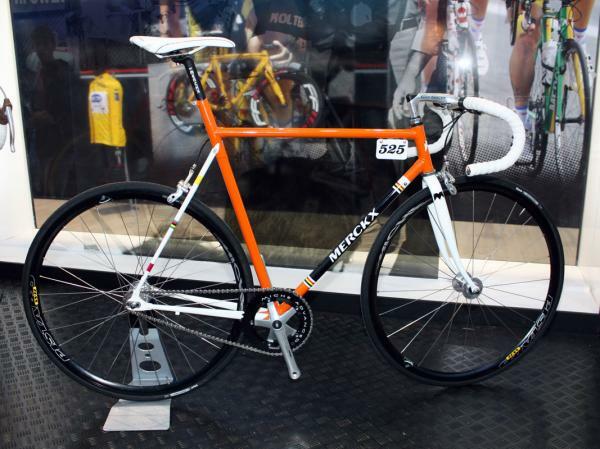 Imagine a specially designed Eddy Merckx bike for riding in the city: a real urban bike. what would it be like? Made of steel – it’s got to be strong, and got to be sturdy – it’s able to withstand the rough roads and cobble stones of a city; it would have built in safety features: lights, reflectors, a bell, and a simple gear change; it would be beautiful and cool looking – with an old school shifter, integrated wiring, comfortable pedals and a space for the number plate. The inspiration for this bike is of course ‘the’ famous World-Hour-Record bike – conceived and ridden by Eddy himself. No frills, no fluff – just strong, fast and perfectly proportioned. We’ve got two, and both are inspired by that incredible feat of sporting endeavour. The first is the ‘Cannibal Limited Edition’. Beautiful, sleek and made for urban biking, it’s a mixture of our rich heritage and new technology giving a bike that can be used everyday, everywhere – safely and comfortably. The second is our ‘Mexico City Series’ – similar to the Cannibal Limited Edition but just that much easier to use in the city with its flat horizontal handlebars and 14 gears. It’s just the beginning, more “urban bikes” will beat the road, but for now Eddy Merckx Cycles have delivered the first ultimate Urban Bike – because for some cycling is more than just a Sunday outing, it’s become a new way of life. Eddy Merckx’s new ‘urban bike’ concept, built with a comfortable lugged steel frame and with a versatile geometry that can accommodate a variety of different builds. A road bike servicing is always essential if you want to maintain your bike for maximum life. A well maintained bike performs at its best and also ensures that your components last longer. All the training in the world won’t help if you get a mechanical fault in a big race, so limit those chances by being well prepared. We provide an overhaul bike service which involves stripping your bike down to the frame and its components. Lastly, a test ride ensuring the bike is safe to go! “Patellofemoral Syndrome in cycling results from the under surface of the knee cap rubbing too hard and for too many repetitions against the femur, grinding away the smooth cartilage on both,” says Brian Prax, a physical therapist based in Jackson Hole, Wyoming. Stay in the saddle and out of Prax’s office with this knee-saving advice. Raise Your Cadence – A low cadence (fewer than 60 rpm) not only taxes your muscles, but also puts extra stress on your joints. Spin above 80 rpm. Find the Right Float – The wrong foot positioning can cause knee pain. Your cleat angle should mirror the natural angle of your heel. While no-float pedals have been linked to knee problems, too much float can be just as damaging. 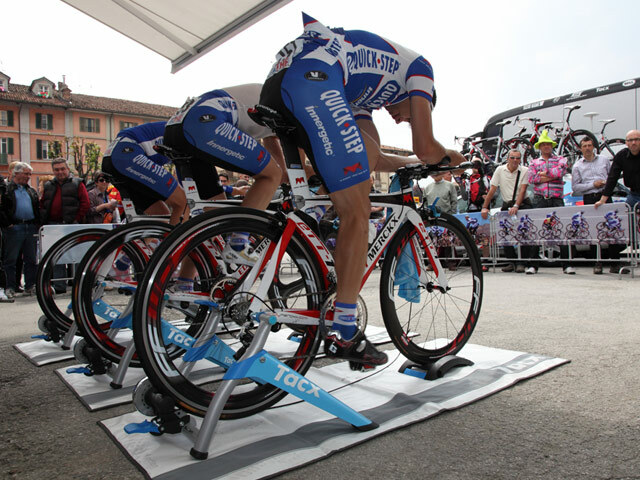 Most riders should be comfortable with a maximum of 4.5 degrees of float. 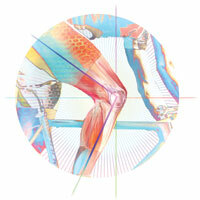 Move Back – When in doubt—and in pain—try moving your cleat back a couple of millimeters. This tiny adjustment can drastically reduce the impact on your knees. Pedal in Circles – While maintaining a circular pedal stroke, make sure your knees aren’t jutting outward or inward. The Italian masters have managed to spare about 100 grams or 5% from the approximate 2,000g weight of the 2009 groupset, down to under 1,900 grams for 2011, assuming we’re fitting the optional titanium version of the Ultra Torque bottom bracket. The speed and feel of the gear shifts is the area where die-hard fans might argue that the Campagnolo ‘clunk’ was its best feature, signifying positivity and durability. But for many, though, a ‘snick’, and a super fast one at that, is what they’re looking for. Campagnolo 2011 Super Record Rear Derailleur. At 155g, 15g lighter than 2009 with its new aluminum fixing bolt. Campagnolo 2011 Super Record Front Derailleur ● 72g for braze-on ● 3g lighter ● Ultra-shift carbon outer cage. Campagnolo 2011 Super Record Ergopower Ultra Shift levers ● 330g ● approx 10g lighter ● new composite body with revised cable routing ● insert available for larger hands ● hoods available in black, white or red. Campagnolo 2011 Super Record Chainset ● 680g with standard BB or 640g with optional titanium BB ● Completely new eXtreme Performance Shift System (XPSS) chainrings with 8 chain upshift zones and 2 chain downshift zones ● Optional titanium Ultra Torque axles ● Reverse thread titanium fixing bolt. Campagnolo 2011 Super Record Brakes ● 272g ● Rear now available optionally with more powerful dual pivot mechanism to match front ● New shoe fitting system ● longer pad in new compound. If you were a world famous cyclists, how would you celebrate your 65th birthday? Eddy Merckx will launch a 2011 EMX-7 Anniversary road bike in celebration of his birthday and 525 victories. The 2011 Eddy Merckx EMX-7 Anniversary features Merckx’s major wins on special lightweight carbon fiber wheels. This EMX-7 has Xs weaved throughout the frame, internal cable routing, among many more features, making it unlike any other released. Building the 2011 Eddy Merckx EMX-7 Anniversary Bike was accomplished with three factors in mind. First, the company concentrated on the stiffness in the head tube. From there, designers turned their attentions to the shaping. Lastly, they focused on its aerodynamics. We were told only 200 will release, and at the time 50 were already sold. What is jaw dropping is the retail price, which comes in at a whopping $21,000!